The drills, which will be held in the “near future,” will be the first between those particular services. Amid more frequent military drills in the region, China and India have agreed to hold exercises between their air forces and navies for the first time. According to Indian media outlets, India and China’s navies and air forces will hold joint exercises in the near future, although the specific date of the drills will be decided by military officials at a later date. The exercises will be “elementary” in nature at first, with the expectation that larger drills would follow. 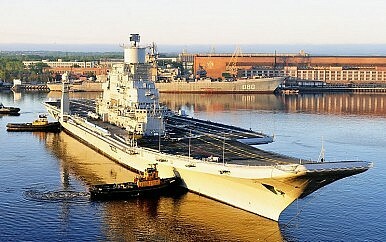 The drills would be the first between the navies and air forces of China and India. Starting in 2007, their armies began holding drills, the third edition of which has been scheduled for October in Chengdu in southwestern China. The announcement comes after a series of diplomatic meetings between the two sides. In May, Chinese Premier Li Keqiang made India the destination for his first overseas trip since taking over his new position. Then, last week, Indian Defense Minister A.K. Antony became the first defense chief to visit China in seven years. That being said, there has also been heightened tensions between China and India over the last year. Last year, Delhi took offense to China issuing visas that featured a map in which their disputed border region was included as part of China. Then, in April of this year Chinese troops crossed over onto the Indian side of the border and set up camp for weeks about six miles inside India. While that border incursion was ended when Indian and Chinese military leaders reached an agreement in early May, it was learned earlier this week that a second border incursion had occurred in June. In this incident, Chinese troops reportedly crossed the de facto border— referred to as the Line of Actual Control— and destroyed observation posts and cameras belonging to the Indian military. A new camera supposedly appeared immediately prior to Antony’s visit to China. More generally, India has been unnerved by the vast infrastructure improvements China has made to the regions surrounding the LoAC, fearing that these could allow Beijing to more quickly mobilize troops for attacks inside India. In response, Delhi has sought to strengthen its position on the LoAC, including by deploying an additional 40,000 troops. That being said, civilian leaders from both sides have been downplaying the tension over the border since Premier Li’s May visit to India. “We need to improve border related mechanisms and make them more efficient,” Premier Li said at the time. Following Li’s visit, the two sides held another round of border talks aimed at resolving the dispute. Both sides also expressed optimism about their ability to resolve the border row during Defense Minister Antony’s visit last week as well. “There is real forward movement on the Border Defense Cooperation Agreement (BDCA)" Antony’s said while in China over the weekend. Along with the joint naval and air exercises, India and China said their navies and air forces would enhance education exchanges particularly among young officers.